Obama’s State of the Union 2013: Dawn of the Trans-Atlantic Free Trade? This is already the 2nd time that I am writing a blog about a speech by a world leader. Last time I wrote about David Cameron’s EU Speech in late January 2013. Both of the posts however are written before the speech. This year’s State of the Union by Obama will obviously be focused mostly on the economy and of course gun control in the United States. One thing, that I am hoping and am very eager to hear in his address is the announcement of negotiations on a Free Trade Agreement between the United States of America and the European Union. Biden also talked a lot about the Euro-Atlantic Security partnership, NATO and how Europe is still the most important partner to the United States. 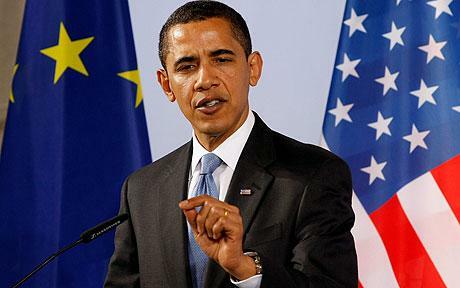 In his 1st term Obama seemed like a non-EU president who is not that interested in European Affairs and does not see Europe as the focus of his foreign policy. With the declarations in Munich and the announcement of a Free Trade Deal with Europe Obama would change his reputation completely. Achieving such a grandiose free trade deal would also be a lasting part of his legacy. He could be remembered as the President who brought Europe and America closer together economically. During December 2012 many columnists wrote about the idea of such a free trade deal. An interesting one is an article by David Ignatius of the Washington Post. David Ignatius called it TAFTA – Trans-Atlantic Free Trade Agreement. I am very much in favour of this idea. I was surprised to find out a couple of years ago that no such a deal exists yet. Liberalizing the trade would give a much needed stimulus to the economies on both sides of the North Atlantic in the European Union and in the United States. That is something both economies and politicians in those regions need. The most significant reason why I am interested in this is the fact that my current thesis that I am writing deals exactly with this issue. I am writing about the future of the North Atlantic Economic Relations. When I chose the topic in september 2012, TAFTA was not being talked about so it is exciting to see it happen while I am writing my thesis and to write it on something current. My thesis deals not only with TAFTA between the EU and the USA but deals with the entire North-American region including Canada. A similar deal between the EU and Canada has already been negotiated and should be signed soon. Not many ahve heard of it. It is called CETA – Comprehensive Economic and Trade Agreement – and it was supposed to be finisehd and signed for a long time. The current Conservative Canadian government is eager to get it signed soon and join it with TAFTA as a part of some North Atlantic Economic Initiative. As of the coming weeks and months I will be posting news and updates concerning North American Free Trade including Canada, USA and the European Union. I am eager to read the news about the State of the Union speech tomorrow. I hope Obama will announce the free trade talks. But as always, I am cautious. A free trade deal is an awesome idea, but agriculture will probably be exempt from it and it is likely to have a lot of common rules and restrictions which might have unforeseen negative effects that might negate the positives of free trade and of lowering of trade barriers. On Tuesday January 22nd 2013 David Cameron, the Conservative Prime Minister of the United Kingdom was suposed to deliver his speech about the future of the EU-UK relationship in the Hague in the Netherlands. Now, however, it will be held in London the next day on Wednesday January 23rd. Too bad, I argue. The symbolic value of the speech would have been greater was it held in an original founding member of the European project. I think the Netherlands would have been ideal. This speech follows in the tradition of many previous speeches by British Prime Ministers on the future of UK’s relationship with Europe. It started with Winston Churchill in 1946. This speech also comes during a critical period. The European Union is going through a major (but not existential) crisis. The single currency, the Euro, faces big challenges too and is shaking the world economy. The UK, these days might lose its credit rating. Nobody is without trubles. Last year the UK vetoed a proposed EU treaty and up to this day the UK is really in the EU with just one foot. Not a member of the single currency nor a member of the Schengen Area. There are other aspects of the EU integration that the UK wanted to opt out of, such as the justice and home affairs. Britain has always stood on the sidelines of the European continent, saving it a few times along with America from itself (World War I and II). A weird country in Europe that is closer to America with language and law. On the other hand however, it is closely tied with Europe too. All the nations throughout history that formed the history of Britain came from the European mainland: the Celts, the Romans, the Angles, the Saxons or the Normans. Today, as I am writing this blog another important EU milestone took place. Germany and France have marked the 50th anniversary of their mutual relationship treaty. This relationship is now the corner-stone of the European Partnership. This treaty started the Franco-German cooperation and ended the Franco-German conflicts that caused both world wars. Wow! Could Cameron’s timing be any better? If he had chose as the venue, Strasbourg, it would have peaked with symbolism. I think there are two ways to explain this: either David Cameron did not wish to overshadow this historic moment for the EU and so he chose London instead of mainland Europe or his speech is not going to be that ground-breaking. I think it is the latter. I do not expect a ground-breaking speech. If it was really to change his UK’s stance towards the EU in a ground-breaking way he would have made sure to pick a European venue instead of London. So, my expectation is that he will not say anything new. He will restate what he always said and that is that he wants the EU and the Euro to succeed. 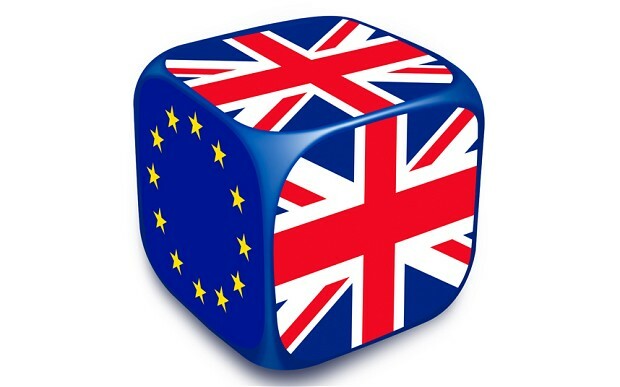 The UK as a trading nation will remain in the EU single market (although it is still not a real single market – more integration and liberalization is needed in my view). Yes in British eyes the EU is interfering with too many aspects of British lives and Britain will probably ask for some concession from Brussels. David Cameron will have to defend his own taxpayers and voters. He will have to protect the interests of the city of London and its financial markets. Whether he will announce a referendum in the UK over staying in the EU is unlikely but some referendum over the relationship with the EU within the EU might be possible. However, I don’t claim to know whether Cameron will announce such a thing or not. He will underscore the importance of fiscal prudence and good economic policies in order to avoid future economic crises such as the current one. The Germans and the Dutch will be glad to hear this. I also think that he will say that going backwards in integration is not the answer either. That on the other hand is something that the French and the Italians might like hearing. He might however, twist his speech by emphasizing the “how”. Perhaps a new way to think about all these partnerships and integrations. I am not surprised that an ordinary British citizen does not understand the EU, few people in Brussels really do. The ongoing crisis is changing the dynamism of the EU like never before as we speak. I, in my view, claim the the UK is a plus for the EU. Without it the EU would be more boring and more bureaucratic. With the UK, the EU has more dynamism and more pragmatism. Pragmatism is something that the EU needs right now during its ongoing crisis. British members of the European Parliament (notably Nigel Farage and Daniel Hannan) are being very outspoken against the democratic deficit of some EU institutions. That is something I happen to agree with. The importance of democratic principle is again, something that David Cameron will mention but it is nothing new. I claim that France, Germany that happen to mark their anniversary are along with the UK the three most important members of the EU. The relationship of the first two is the building block of the EU and are also the two biggest EU and eurozone economies. The UK is the third biggest EU economy (and 7th biggest globally) and therefore important. UK is also important because without it English would not be a working language in the EU institutions, and it is now the most spoken language in the EU, whether being a first language or not. If the UK was not in the EU, either France or Germany would have their way at the expense of the other, which is partially happening now with the Euro and its crisis. I also claim that the EU needs the UK to save it from itself. Whether the speech will be historic or not is not up to debate. Of course it will. It is supposed to be a historic speech. But, whether the speech will be some historic turning point in the UK’s relationship with the EU is difficult to tell and I don’t think we will be able to tell it right away. I think that whether this speech will be a historic turning point in Britain’s relationship with the EU will be clear in a few years after the UK and the EU took some concrete steps in either direction. The real historic value of this speech will maybe be really clear only after a decade or a few. But I do not expect to hear anything extraordinary, new or “super-historic”. Good Luck to David Cameron. 600 people reached the top of Mt. Everest in 2012. This blog got about 2,000 views in 2012. If every person who reached the top of Mt. Everest viewed this blog, it would have taken 3 years to get that many views. Could a “new dwarf“ be showing the right way in the EU, instead of the “old giants”? The election of François Hollande as the president of France has been an important turning point. He is a Head of State who is openly anti-austerity has been negatively portrayed by The Economist magazine’s article, which called him “rather dangerous”. The election of François Hollande has been a sign of a current trend in Europe that is going against austerity. Austerity across the EU is now in its third year almost. Some countries are feeling the pain of austerity, especially the PIIGS, which have all had to be bailed out. With all of its current problems, the last thing Europe needs right now is a complete move away from austerity and fiscal tightening to a more expansionist monetary policy and more borrowing. These policies are, among other reasons, what caused the current crisis in the first place. First of all, with the exception of the PIIGS, no real cuts are taking place or have actually taken place in Europe. The graphs on this blog post of an economics think-tank in Slovakia show that in reality no cuts took place. The only thing that happened is that the rise of government spending decreased. But it is still increasing nevertheless so there is no real austerity. In some EU countries governments were actually spending more than they had before. The public across Western Europe was upset about the austerity and many politicians claim that it doesn’t work. What is really felt, however, is not the pain of the austerity since there isn’t really any, but the pain of the continuation of the economic crisis. The recovery of economic activity in 2010/2011 was largely due to expansionist monetary policies across Europe. Governments spent a giant amount of public money immediately after the start of the 2008/2009 crisis to stimulate the economy. But this kind of Keynesian stimulus only works as long as the government money keeps flowing. With every government dollar that flows into the economy the threat of high inflation increases. Now, years later when governments started to cut public spending so that they do not run up huge public debts the economies are starting to slow down and the global outlook isn’t rosy. This has mostly manifested itself in fears of the so-called “double-dip” recessions. These “artificial economic revivals” did not last and genuine economic recovery will not arrive easily. In short austerity isn’t working because it hasn’t really been tried out. Germany and France have huge public debts, although still incomparable with the PIIGS. There is one country in the EU, however, that has resisted this tide of “no real austerity” or “just a bit of austerity”. The Baltic state of Estonia has been making headlines around the world in being the “prime example” of austerity. Estonia is the only country in the Eurozone that is experiencing an economic growth, is having a budget surplus and its debt is actually decreasing. No other Eurozone country has all of these three things happening at the same time. Estonia has felt the real pain of austerity. However, throughout the years the country’s inhabitants got closer together and got through the tough times. The politicians cut their wages by around 20% in order to persuade the public to go through with the tough fiscal tightening measures. Now the economy is recovering and it has very good prospects. 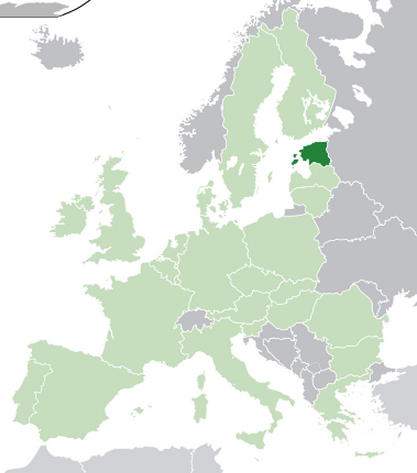 Estonia adopted the Euro in January 2011 when no other country even considered joining the common currency union. Estonia is the only country in all of Europe, which meets the economic criteria of the eurozone and the political and military criteria as a NATO member. The World Bank has graded it as the 24th country in the world in the ease of doing business ahead of France and Italy. Estonia’s economy might face problems in attracting FDI because of being right next to Russia, which is the reason why it was eager to join the North Atlantic alliance in the first place. Estonia deserves a lot of respect and praise for its sacrifices. With a population of just roughly over 1 million, is certainly is a dwarf when compared to the biggest and the oldest EU members such as France or Germany. The Estonians have chosen the “hard way”. After a tough and painful crash and a recession in 2009 and 2010 the country looks ahead to a highly potential bright future. They haven’t decided to borrow more money for which they would have had to pay for later and which would have hurt much more than the austerity they went through. Estonia’s Baltic neighbors: Latvia and Lithuania have chosen a similar economic policy as a way to sort out the crisis. In a way, the two opposing ideas in the Eurozone are whether it is better to chose an immediate crash which is then followed by a real recovery or pursue a mild long recession made possible by more spending and borrowing which only gives the temporary impression of recovery. Estonia chose the 1st way which is tougher and certainly less attractive with the public. Estonia should be an example for the European Union since it is one of the few countries that actually did try austerity as a way out of this crisis. It should also serve as an example in NATO, having kept all of its membership requirements. These days this “new” EU member (having joined in 2004) is showing the right way. The “old” members such as Italy, Spain, Portugal or Greece are facing grave problems. Germany and France, which are currently leading the way out of this crisis, have huge public debts and do not lack problems. Why should they have all the credibility? Perhaps once in a while a “new dwarf” should be listened to or respected and given just as much credibility as the “old giants”. V druhej krajine za Atlantikom v Severnej Amerike, na ktorú sa občas zabúda (ÁNO, je to Kanada) sa schyľuje k voľbám. Francúzski Kanaďania pôjdu k urnám 4. Septembra po veľmi rušnej jari a rušnom lete. V súčasnosti je pozornosť veľkej časti sveta upretá na USA a na ich prezidenské voľby. Kampaň je v plnom prúde a Republikánska Strana na čele s ich kandidátom Mittom Romneym mala minulý týždeň veľký zjazd alebo konvenciu (Convention). Nie všetci ale vedia, že neďaleko na sever od USA a blízko New Yorku alebo Washingtonu DC sa schyľuje k iným voľbám. Francúzsky hovoriaca kanadská provincia Québec sa chystá k voľbám. Na tom by nebolo nič dôležité alebo zaujímavé, ak by však tentokrát neľlo trochu aj o budúcnosť celej Kanady. Voľby sú zaujímavé aj kvôli tomu, čo ich vyvolalo a aké sú hlavné volebné témy a otázky. Voľby boli vyhlásené súčasným premiérom Jean Charest-om v stredu 1. Augusta. Zhodou okolností sa v ten istý deň v noci v najväčšom meste tejto provincie, v meste Montréal, (ktoré mnohí v SR poznajú vďaka klubu NHL Montréal Canadiens) konal nočný protest (začal 20h30 a skončil po polnoci), presnejšie pochod, veľmi hlučný pochod proti vláde toho istého premiéra. Tento nočný protest, ktorého organizátormi sú väčšinou študenti sa v noci 1. Augusta konal už po 100. krát. Áno, čítate správne! Už po 100-tý krát! Noc 1. Augusta znamenala 100 dní odkedy študenti v meste Montréal a v celej provincii Québec chodili do ulíc každú noc a protestovali. Proti čomu presne? Celé to začalo vo Februári 2012 keď niekoľko študentských organizácií z mnohých fakúlt univerzít v provincii Québec začali protestovať. Najprv šlo o jednoduchý protest proti plánu vlády zvýčiť školné v univerzitách, ktoré miestna provinčná vláda dotuje. Vačšina študentov majú ľavicové tendencie a sú prísne proti zvyšovaniu poplatkov, ktoré podľa nich znižujú prístup ku vzdelaniu, ktoré oni vidia ako spoločenské dobro. Québec má zo všetkých provincií v Kanade najnižšie školné, tým aj najdostupnejšie vzdelanie a na to sú študenti a mnohí obyvatelia hrdí. Plán vlády zvýšiť poplatky tak vyvolal nevôľu nielen študentov ale aj širšej populácie. K študentom sa pridali odbory a mnohí iní ľudia, ktorí sú buď nespokojní so súčasnou vládou alebo sú proti zvyšovaniu školných poplatkov. To čo začalo ako protest študentov prerástlo na celospoločenské hnutie, ktoré otriaslo nielen Québec-om ale celou Kanadou. V mesiacoch Apríl a Máj 2012 dosiahli nepokoje najvyššiu úroveň a násilnosti, boje s políciou, zatknutia, policajné sirény, helikoptéry a rozbité výklady boli na dennom poriadku. Po tom čo vláda so čtudentmi odmietala rokovať alebo zrušila rokovania, ktoré prebiehali a po tom čo premiér študentov otvorene urážal začali koncom Apríla nočné pochody, ktoré sa konali každú noc. Monhí študenti prirovnávali toto hnutie k hnutiam v arabskom svete, k Arabskej jari, a dávali mu názvy ako “Printemps Québécois” (Quebecká Jar), “Printemps Érable” (Javorová Jar) či “Printemps Étudiant” (Študenstká Jar). Jean Charest sa snažil situáciu otočiť tým, že prijal drsný až nedemokratiský zákon, ktorý silno obmedzoval akúkoľvek demončtráciu či protest. Polícia ho však niekdy nevyužila a mnohé supiny a organizácie obhajujúce ľudské a občianske práva odsúdili tento zákon. Neuspel, stal sa totiž úplný opak. Namiesto upokojenia sa všetko zhoršilo. To čo bolo iba niekoľko zatknutí za noc a niekoľko malých bitiek s políciou a zopár rozbitých výkladov za zmenilo na ešte hlučnejšie nočné pochody, ešte násilnejšie bitky s políciou, horiace autá, ešte viac rozbitých výkladov, niekoľko zranených a oveľa viac zatknutých. Veľká Cena Kanady Formuly 1 v Júni 2012 v Montréali bola takmer narušná protestujúcimi. Hnutie bolo jednoznačne ľavicové, až protikapitalistické, protivládne, akési pokračovanie hnutia Occupy, proti korupcii súčasnej vlády (Premiér Jean Charest je obvinený z viacerých korupčných afér a jeho ministri si vraj podávajú ruku s Mafiou, jeho vláda dlho odmietala akékoľvek vyšetrovanie), ženské a iné sociálne hnutia, environmentálne hnutia ale aj to čo mnohí dúfali, že v provincii Québec pomaly umiera: separatizmus alebo ako to volajú oni: “Souverainisme” (Suverénizmus). Nakoniec premiér Jean Charest aby mal akúkoľvek šancu byť zvolený vyhlásil voľby na 4. Septembra. Toto hnutie, ktoré prešlo provinciou je vraj rovnako veľké ak nie vačšie ako v 60. rokoch keď podobné hnutia prechádzali celým západným svetom. Súčasné voľby odrážajú všetko proti čomu alebo za čo toto hnutie demonštrovalo. Jedna politická strana PQ (Parti Québecois – separatisti), sa pridalo na stranu študentov a celého hnutia. Očividne z toho dosť aj profitovali, kedže sú na prvom mieste s 32% hlasov. 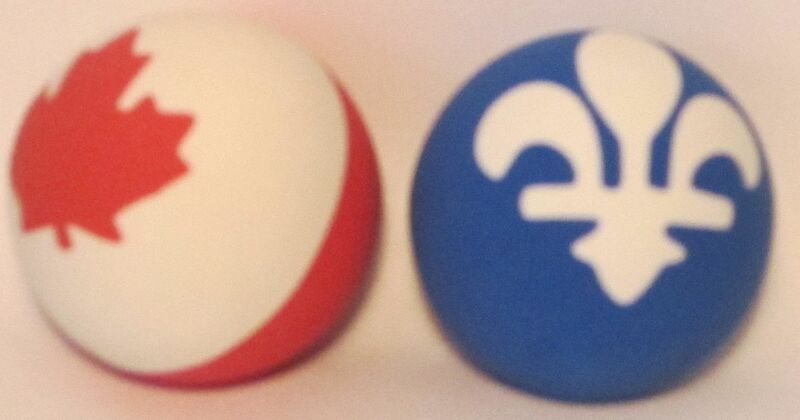 NIe sú jedinou stranou, ktorá hlási odlúčenie od Kanady ale dve strany PLQ, kam patrí Jean Charest a CAQ, ktoré sú za zachovanie provincie Québec v Kanade majú spolu takmer 50% hlasov. Mnohé návrhy a vyjadrenia PQ a ich predsedkyne Pauline Marois znepokojujú anglicky hovoriacih Kanaďanov alebo tzv. bilinguálnych v provincii Québec a mnoho Kanadských denníkov a politikov sa vyjadrujú znepokojene. PQ však ubezpečuje, že nemá žiadnu radikálnu agendu a bude brániť práva jazykových menšín v provincii (kam patrí aj angličtina). Predsedkyňa Pauline Marois mala v meste Montréal príhovor na predvolebnom zjazde jej strany PQ, kde pôsobila veľmi sebavedome a vyhlásila všetkých Québecois aby ju volili. Keďže sa v súčasnosti v meste Montréal zdržujem tak som sa tam išiel pozrieť a vidieť a počuť to celé bolo zaujímavé. Ja ju volám “Iron Lady z Québecu”. Jej prejav bol v rovnakom čase keď Americký Republikánsky kandidát Mitt Romney podával svoj vlastný prejav v meste Tampa na Floride. Pre mnoho Kanadských novinárov a aj novinárov v meste Montréal sú tieto voľby síce len provinčné ale sú osudné pre celú Kanadu. Ako častokrát v minulosti aj teraz je provincia Québec rozhodujúca pre osud celej Kanady alebo aspoň pre celkovú politickú situáciu a stabilitu v nej. Poznámka: Čo najskôr budem môcť pridám linky a zaujímavé zdroje a tiež fotografie z demončtrácií v meste Montréal. Tiež sa budm snažiť napísať článok o výsledku volieb, o vzťahoch medzi provinciou Québec a zvyškom Kanady a o výsledku volieb. Dúfam, že vás tento môj článok zaujal a poskytol vám nové informácie najmä o Kanade a provincii Québec. Lucas explained how in his opinion the concept of “Eastern Europe” which is used to describe all of ex-communist Europe is a messy concept that doesn’t make sense and should not be used any more. This narrated video follows a TED Talk that Lucas gave at the TEDx event in Krakow. (To watch it on YouTube click here) During the talk he explained why calling the whole ex-communist region of Europe as one entity by using the name “Eastern Europe” is wrong, confusing and far from the truth. It is a messy concept that does not make sense. I shared this video via Twitter and other social media websites. Lucas gave that TED Talk back in December 2011 and now months later he narrated a video with the same message. I noticed it and think that Edward Lucas is trying to make a serious point so I decided to make a post about it in my Blog. It also concerns me since I’m originally from Slovakia, a country which gets caught in this messy concept as well with many other countries. Edward Lucas is perfectly right. This concept does not even make sense geographically. If the Czech Republic is in Eastern Europe then why should Austria not be in there too. I know, for example, that French geography tex books divide Europe exactly like that and include Greece in “Western Europe”. That is close to insane. In the two videos Edward Lucas proposes two new concepts: “Baltic Europe” and “Danube Europe”. These two make perfect sense geographically and culturally. A term that I believe should be used more often from a geographical point of view is “Central Europe”. Not that there is anything wrong in being from the East or being Eastern European, but calling half the continent Eastern Europe is not correct. “Central Europe” is ideal to describe Poland, Czech Republic, Slovakia, Hungary, Austria and perhaps even Germany, Switzerland, Slovenia and Lichtenstein. However, I do not think that the term “Eastern Europe” should be abandoned completely. I think it is ideal to use it to describe the countries that constitute the territory of the former Soviet Union: Russia, Ukraine, Belarus, Moldova and maybe the 3 Baltic States. The 3 Baltic states, however, would rather be included in “Northern Europe” among countries such as Finland and Sweden or they should be part of what Lucas calls “Baltic Europe”. Sometimes according to some classifications the Baltic States along with Romania and Croatia also fall into “Central Europe”. To see the various ways of how “Central Europe” is classified view this Wikipedia entry here. The term “Central Europe” should be used more often in international media. For example we commonly use “Central European Time” or “CET” to describe the time zone that runs from Spain through most of Europe all the way to the Baltic States, Romania and the former USSR. That concept is also untidy and the time zone itself is confusing, but that is a different topic. I’m not going to get into that. The ex-communist countries of Europe are far from being homogenous. Yes, they were all communist during almost half of the last century but that is all. Most of them are Slavic, but not all of them. In only some of them is the Eastern Orthodox Cristinatiy the dominant religion . The others are mostly Roman Catholic. ( Not to mention that two of them: Czech Republic and Estonia are among the most atheist countries in the world.) A common misconception abroad is that they all use the Cyrillic alphabet. Most of them actually use the Latin alphabet. If you watch these two videos (it will not take a lot of your time) you will find out more about this part of Europe and what the countries of this region are like. Most of them are integrating deeper and deeper into the European Union and are also becoming important on the world stage. The recent EURO 2012 tournament for example was held in Poland and Ukraine. Edward Lucas deserves thanks and a lot of credit. The website of The Economist where his video is posted is visited daily by millions of people all over the world. Thanks to his video everyone who sees it will hopefully stop using the old concept of “Eastern Europe” and will recognize the ex-communist countries of Europe for what they really are. Securing Cyberspace debate on "The Agenda"
The Call | Eurasia Group.